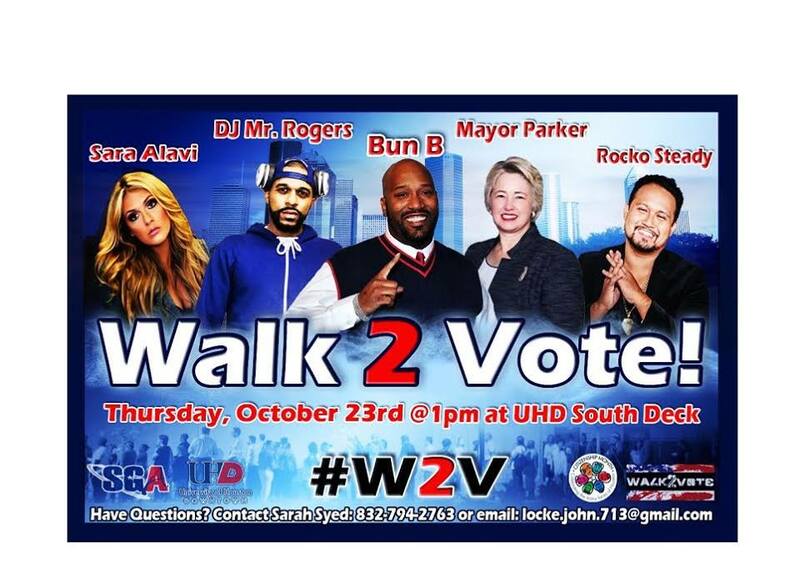 UHD Student Leaders Bring “Walk to Vote”! Empowering The Student Body Houston Use Their Constitutional Rights!! Not a UHD Student? Join and vote with us!! HOUSTON, TX –Hundreds of students will unite and march to the vote this Oct 23, 2014!! University of Houston-Downtown students vow to unite and play a critical role in the November elections as they pledge to walk to vote. Our student leaders resolve to empower all UHD students to get out and vote. In 2012, the Student Government Association (SGA), started an initiative at UHD that aimed to empower students by registering them to vote and take action. From the month of August to October of 2012, the SGA was able to register 2,500 students to vote. 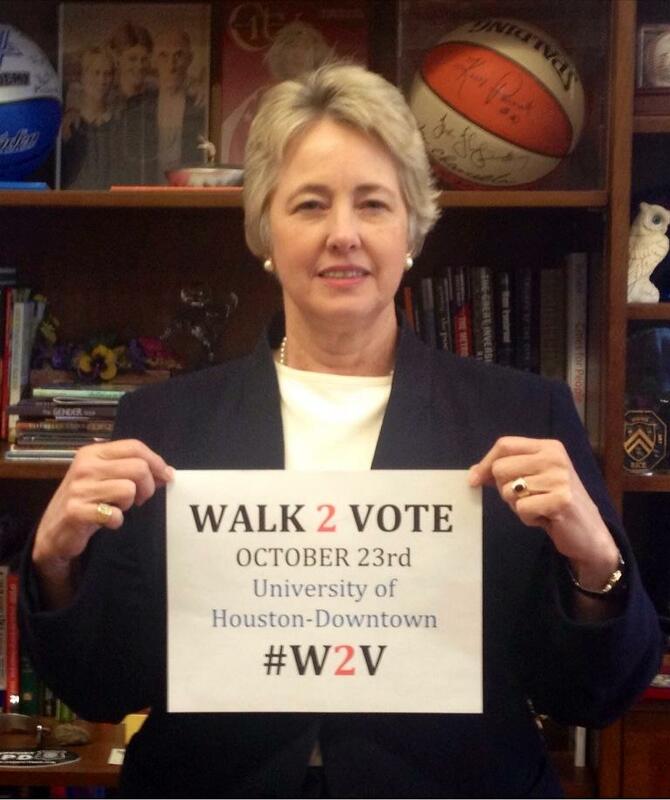 During early voting in 2012, the SGA then hosted the Walk 2 Vote event which was attended by over 700 students, the Mayor and other distinguished guests. Following a brief rally, together we continued and marched with over 300 students at the same time and voted. The results at the UHD were truly unprecedented, as over 55% of the student population voted at UHD in 2012, compared to other University counterparts at 5-15% according to the Center for Information & Research on Civic Learning and Engagement (CIRCLE) at Tufts University. Since the beginning of the fall 2014 semester, various student organizations have passionately competed with one another in an effort to see who could register the most voters. To date, we have registered over 1,500 students who will now be eligible to vote in the November elections. In honor of this, the Student Government Association has orchestrated an event to encourage our students to vote and inspire them to let their voices be heard. Join us on Oct 23rd on the UHD’s South Deck from 1:00pm to 2:00pm as we celebrate our achievements and exercise our constitutional right to vote. This entry was posted in Accion, Elections, Inbox and tagged student-driven, uhd, university of houston-downtown, walk2vote. Bookmark the permalink.